Cost savings through rapid extractions. Screwable sample postions for optimum safety. Individual handling of each extraction thimble with sample. The operator can lift or lower the complete extraction system with one lever. Delivery of the FoodALYT RD 40 incl. 25 extraction thimbles of 100 ml and glassware. FoodALYT RD 40 : for large numbers of samples. The delivery of the FoodALYT RD 40 includes 25 extraction thimbles of 100 ml. Two neutralisation steps prevent the output of vapours to environment. 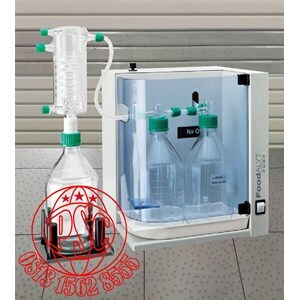 The Process Extraction System FoodALYT PUMP is preassembled with bottles and hoses. The Additional Condensing System FoodALYT COOL consists of stand, bottle and cooler. 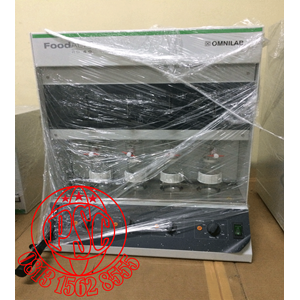 FoodALYT PUMP : for extracting acid vapours during digestions.